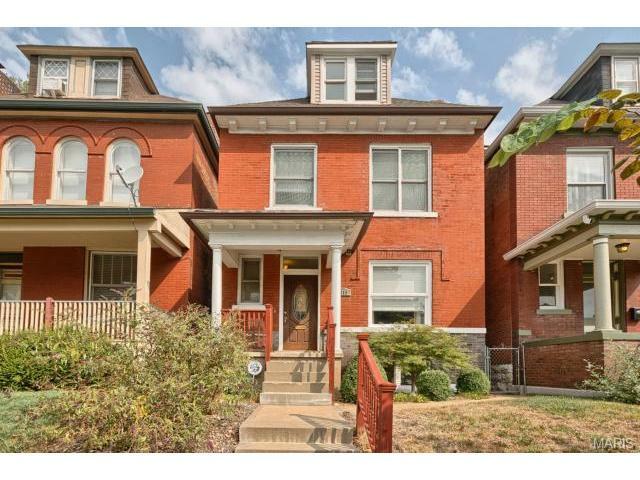 Located in St. Louis City real estate, homes for sale in Shaw Neighborhood are a mix between historic mansions to multi family homes. Shaw Neighborhood Real Estate and Shaw Neighborhood properties are a perfect addition to the St. Louis Real Estate market. Shaw Neighborhood real estate is primarily historic homes. The Homes for sale in the Shaw Neighborhood range in price from approximately $125,000 for smaller homes to $500,000. The median home price in 2014 was approximately $235,000. Residents of the Shaw Neighborhood enjoy Missouri botanical gardens which borders the West side of Shaw. The Gardens are well known for their unprecedented research. The garden brings visitors from throughout the U.S. to view the gorgeous grounds. The Shaw Neighborhood residents are served by the St. Louis City School District including Roosevelt Senior High. See Great Schools for up to date ranking on every school in the area. If you are looking for a home for sale in the Shaw Neighborhood or you would be interested in buying a home in Shaw Neighborhood, please contact St Louis County real estate expert, Sharon Colona and St. Louis Realty for a professional and simple buying or selling process. Call (636) 397-7653 or email at scolona@stlouisrealty.net.